Now that the midterm elections are over, Donald Trump is now free to make changes to his cabinet. The Washington Post is reporting that one the Presidents first moves will be removing Kirstjen Nielsen as Homeland Security Secretary. According to the Washington Post, Trump wants Nielsen out of her position as soon as possible. She was supposed to accompany the President on a trip to the Mexican border, but that trip was cancelled earlier this week. Nielsen did not have a preexisting relationship with Trump prior to working in his cabinet. This has been a problem, as Trump appears to prefer his own people whose loyalty to him goes unquestioned. 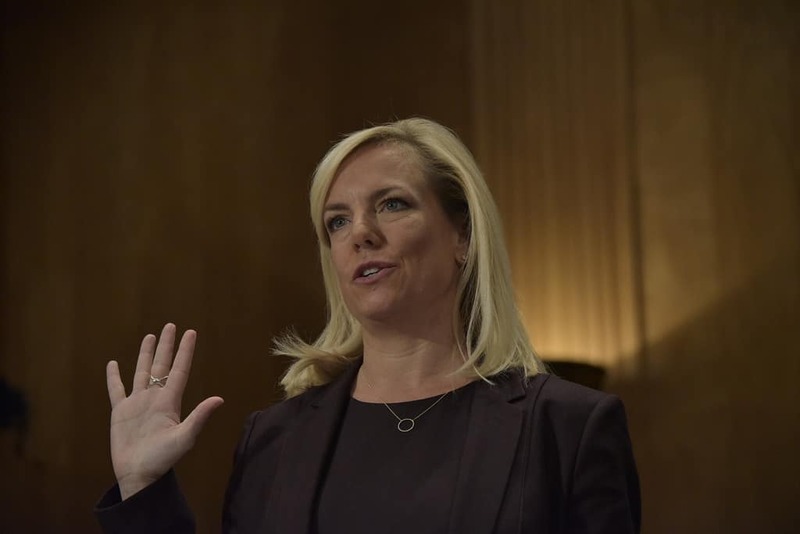 Trump has had a rocky relationship with his Homeland Security Secretary as Nielsen has struggled to defend some of his policies. This was most apparent during the family separation crisis. In her struggle to defend the White House, Nielsen tweeted, “We do not have a policy of separating families at the border. Period.” Other members of the cabinet later admitted that the policy was meant to be a deterrent. The constant fighting nearly led to Nielsen’s resignation, but she was talked into staying be her mentor John Kelly. Kelly has been protective of Nielsen, who he has worked with for many years. The duo are often seen as outsiders to the cabinet, and Trump chafes at the picture of them as the adults in the room. The firing of Nielsen could be the beginning of many departures of White House officials. Kelly could be the next to go as he is thought to have a difficult relationship with Trump as well..